Limits on private hire would strike a blow for innovation in London. Beware the wounded beast. Uber may have taken London by storm, but black cabs have refused to go down without a protest-filled punch up (nor, indeed, a hefty amount of Twitter trolling, as our editor found out after he wrote this). And they have finally persuaded Transport for London to fight their corner. TfL is proposing a range of new rules that it says will ‘apply to all’, but are clearly directed at the upstart yank start-up. They include a five minute minimum wait time for a private hire vehicle, even if one is just down the street, and a ban on displaying vehicle availability in an app, supposedly to increase passenger safety and prevent illegal mini cab ‘touting’ respectively. Another suggested restriction is that passengers must be able to book rides up to a week in advance, something Uber doesn’t currently offer. It also proposes only allowing ride-sharing with ‘very clear controls… to protect the safety of passengers and drivers’, which could hit the $50bn company’s plans to introduce its UberPool service to the capital. The proposed crackdown was set out in a document released today, after a consultation earlier this year that received 4,000 responses. Many, if not most, of those seem to have been from cabbies and their representatives. ‘All of the proposed regulatory changes were proposed by the trade in our response,’ Licensed Taxi Drivers Association boss Steve McNamara wrote in trade magazine Taxi, adding ‘thousands of LTDA members’ had contributed. Meanwhile, the company, which has said it has around 15,000 London drivers and smaller operations in Birmingham, Bristol, Leeds, Manchester and Merseyside, emailed passengers asking them to ‘let TfL know riders come first.’ The proposed restrictions would ‘mean an end to the Uber you know and love,’ it warned. But TfL chief operating officer Garrett Emmerson told City AM the five minute waiting time, for example, was neither ‘unique’ nor ‘unreasonable’ and pointed out Paris has a 15-minute wait (this a city where Ubers have been attacked, its lowcost service UberPop banned and two of its executives put on trial today). ‘No final decisions have been made and we’re keen to hear a range of views from the trade and from Londoners too,’ he said. Nonetheless, there seems to have been a change in tone from the transport body since passenger-centric boss Peter Hendy left for Network Rail earlier this year. The consultation on TfL’s ideas will close on December 23. 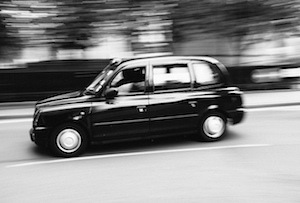 If the capital is to maintain its position as an innovative city open to global tech companies – and, just as importantly, stay on the move – then Londoners who have become hooked on Uber need to make their voices heard loud and clear above the Luddite cabbies. Uber's open letter to TfL has already been signed by more than 86,000 people, so that's a good start - but TfL also have to listen.